Bringing a big win to the movement for international recognition of and accountability for the Tamil Genocide, JusticeInfo.com, one the most respected international crimes news resources, has published on its front page the op-ed “Sri Lanka: A Threat to Reconciliation and Accountability,” written by three renown international human rights lawyers nominated to the Sri Lanka Monitoring and Accountability Panel (MAP) by the Transnational Government of Tamil Eelam (TGTE), TGTE is pleased to announce. Mr. Rudrakumaran echoes this sentiment. “Whether Mr. Rajapaksa remains in power or not, the mere fact that President Sirisena has appointed him as Prime Minister clearly shows that he is not a partner to the accountability process,” Mr. Rudrakumaran said. On October 26, former president Mahinda Rajapaksa was appointed as Prime Minister of Sri Lanka. For the Monitoring and Accountability Panel, this political come-back risks undermining the limited progress made in transitional justice in the aftermath of a civil war that ended almost ten years ago. In a deep blow to the rule of law, promised accountability and respect for human rights in Sri Lanka, on 26 October President Maithripala Sirisena dismissed Prime Minister Ranil Wickremesinghe and sought to replace him with former Sri Lankan president and strongman Mahinda Rajapaksa. While the constitutional legality of this move is questionable, and the role the parliament might play still uncertain, it is an alarming betrayal of the principles Sirisena stood for when elected and a grave concern for the Tamil population. All Sri Lankans should be concerned about the threat to stability posed by further backpedaling on reconciliation and accountability for mass crimes. Rajapaksa served as president of Sri Lanka from 2005 to 2015, when Sirisena defeated him in a national election. His tenure was marked by allegations of authoritarianism, corruption and human rights abuses, especially against the country’s Tamil minority. As president, Rajapaksa oversaw the brutal military campaign at the end of the civil war in 2009, which left tens of thousands of Tamil civilians dead or missing. Despite the documentation of war crimes by independent UN panels, Rajapaksa continues to deny or defend the mass violations, playing into the hands of the Buddhist nationalists, and appealing to the military and security services. In 2015 Sirisena was elected president on a platform of promoting democracy, respect for human rights, and reconciliation among all Sri Lankans following the brutal 25-year civil war. Accordingly, in October 2015, pursuant to the United Nations Human Rights Council (HRC) Resolution 30/1, Sri Lanka committed to promote a broad transitional justice agenda made up of four distinct pillars: an office on missing persons; an office on reparations; a truth and reconciliation commission, and a special court to hold accountable those responsible for atrocity crimes on both sides of the conflict. After two years of only marginal progress by the Sirisena government, on 23 March 2017, the HRC adopted a new resolution, stressing the importance of reconciliation through transitional justice, and giving the government two more years to fulfill its international commitments. Sirisena’s efforts to promote reconciliation and achieve accountability for gross human rights abuses have been insipid and disappointing. In particular his refusal to take any meaningful steps to establish an independent accountability mechanism to hold those responsible for mass atrocities, including war crimes and crimes against humanity, has demonstrated his bad faith. But the appointment of Rajapaksa as Prime Minister is a new low. In October of this year, the Sri Lanka Monitoring and Accountability Panel – a panel of independent experts who monitor the transitional justice process from a victims’ perspective – warned that the resurgence of Rajapaksa would further undermine the commitments made by the government in the 2015. Rajapaksa has consistently belittled such efforts in favor of a rhetoric dismissing the concerns of Tamils, thousands who are still waiting to hear news of their loved-ones who have ‘disappeared’. The limited progress that has been made by the government over the last three years – including basic structures for an Office of Missing Persons and an Office of Reparations – could easily be undone by Rajapaksa. He is more likely to ensure impunity for past atrocities and promote perpetrators as national heroes. Rajapaksa’s reemergence threatens other critical aspects of Sri Lanka’s progress from conflict to a functional democracy. These include an opening space for freedom of expression and civil society activity, allowing greater press freedom, withdrawing the military from Tamil-majority areas in the north and the east, and controlling security service abuses. The HRC and the international community must take steps to ensure that reconciliation and accountability in Sri Lanka is not completely swept away as Rajapaksa regains power. 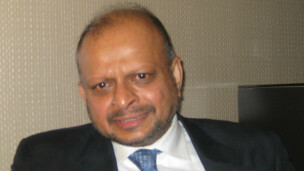 Steps should include setting up an independent evidence-gathering mechanism related to atrocities for Sri Lanka with a similar mandate to those on Syria and Myanmar to investigate international crimes; and urging prosecutors in third states to pursue cases against Sri Lankan war criminals under the doctrine of universal jurisdiction. The probability of authoritarianism and abuse of power posed by Rajapaksa’s appointment should be a wake up call to the international community. Having failed to prevent mass atrocities when Rajapaksa was last in power, the international community must be prepared to take decisive action. Andrew Ianuzzi, Richard Rogers and Heather Ryan are international lawyers and members of the Sri Lanka Monitoring and Accountability Panel. The Sri Lanka Monitoring and Accountability Panel (MAP) is an independent body established in 2015 by the Transnational Government of Tamil Eelam to monitor the implementation of UNHRC Resolutions 30/1 and 34/1, “Promoting reconciliation, accountability and human rights in Sri Lanka,” against the backdrop of the UN Secretary-General’s Panel of Experts Report on Accountability in Sri Lanka, the UN Internal Review Report, and the Report of the Office of the United Nations High Commissioner for Human Rights. MAP’s recommendations enable victims and other stakeholders to participate more effectively in the accountability process and thus enhance the legitimacy of the measures. The panel will also consider issues of fair trial and due process for suspects and accused persons. The Transnational Government of Tamil Eelam (TGTE) is a democratic political entity based on the principles of nationhood, homeland and self-determination. The TGTE Constitution enshrines democratic principles and the rule of law, and mandates that the TGTE realize its political objectives through peaceful means. The TGTE was formed after the mass killing of the Tamil people in the final months of the armed conflict between the Government of Sri Lanka and the Liberation Tigers of Tamil Eelam. The TGTE seeks that the international community hold the perpetrators of war crimes, crimes against humanity, and genocide against the Tamil people to account. The TGTE also advocates the Tamil people be freed from the racist and hostile Sri Lankan military and political environment in which they live, and that the Tamil people be empowered to govern themselves—the only means by which protection of the Tamil people’s human rights can be ensured.